An ode to the beauty and bucolic nature of the Grand Tetons National Park, our Teton line has a rustic feel that is especially well-suited for a farmhouse or industrial style home. 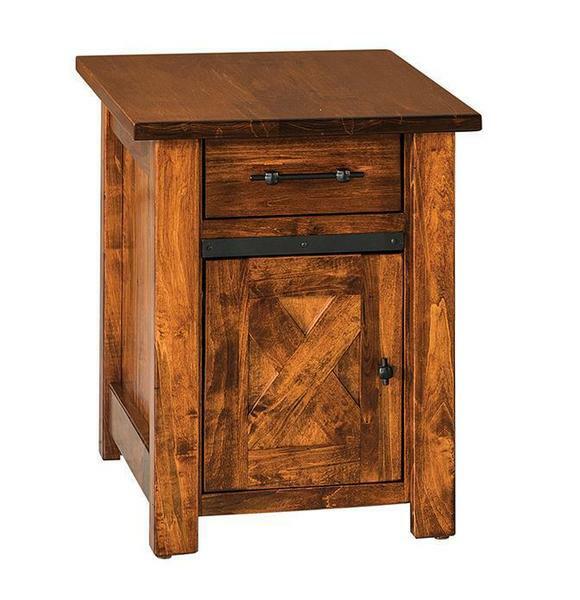 Our Amish Teton End Table will help to accent these styles with its enclosed design that includes an inset drawer and soft-close door with metal track detail. Shown in wormy maple with Mike's CF924 stain and #56 and #57 hardware, this piece can be made from a variety of wood and finish options, allowing you to change the look of the piece -- from less rustic to even more rustic!